The bar will open at 1200 noon, and the Pub Meet is scheduled for 1230 to 1530 hrs. Non-members welcome. Booking not required; just turn up. For further information, please contact Stephen Walker. This year’s AGM is scheduled for the afternoon of Saturday 19 October at St James’s Church, Piccadilly, London W1. The formal AGM will be open only to Society members, although non-members will be welcome at any associated event. Further details to follow in the next Society Newsletter or from Secretary, Paul Milliken. 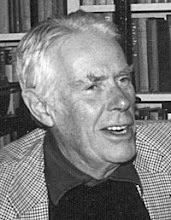 The Society's Trustees are pleased to announce that two Bursaries of £500 each will be available annually to postgraduates undertaking research into the life and/or work of Anthony Powell. This initiative is designed to support and promote interest in Anthony Powell amongst the academic community. Details of the Bursary Rules and how to apply can be found on the Society's website. If required, further details may be obtained from the Society's Secretary. All Pub Meets are at The Audley, Mount Street, London, W1 and run from 1230 to 1530 hrs. No need to book, just turn up. all are welcome. As of today (1 November 2018), Paul Milliken takes over from Keith Marshall as the Society's Secretary; along with this there is a reorganisation of roles within the Society. The Society's registered address, and for the Secretary and enquiries, can be found on our website. John Blaxter becomes Assistant Secretary working alongside Paul. June Laurenson has taken on responsibility for the Society's social media presence; she may be emailed at social@anthonypowell.org. Paul Milliken, John Blaxter and Prue Raper join the Board of Trustees, replacing Keith Marshall, Dr Derek Miles and the late Tony Robinson. Please be gentle with Paul, John, June and Prue while they settle into their new roles. Keith Marshall will continue as Membership Secretary in the short term and may be emailed at memberships@anthonypowell.org. In order to smooth this major change, Keith will also, in the short term, continue to manage the online shop as well as completing the project to update the Society's web presence. Website enquiries should be sent to webmaster@anthonypowell.org. In the first instance all other enquiries should be sent to Paul Milliken (as above). The 2018 Anthony Powell Lecture will be given by Professor Perry Anderson of UCLA. Professor Anderson who was formerly editor of the New Left Review, and who is a distinguished political analyst, has long been an admirer of Anthony Powell’s novels, and has written extensively on him. Most recently he published a long review article on Hilary Spurling’s biography of Powell in the London Review of Books, making an incisive comparison of Powell and Proust. Professor Anderson will talk about the enduring appeal of Anthony Powell.